We would like to congratulate former student Zoe Sugg, who is pictured on the front cover of The Daily Telegraph, after her first novel became the highest first-week selling book since records began. She has also been voted one of the UK’s most powerful people in the media, coming 90th behind the likes of Larry Page (Google) Mark Zuckerberg (Facebook) and Tim Cook (Apple), according to The Guardian. Zoella, a YouTube blogger who is followed by millions online, has become the fastest selling debut novelist since records began. Girl Online, the story of a teenage blogger and her relationship with an American musician, sold 78,109 copies last week, more than JK Rowling, Dan Brown or EL James achieved with their first books. It is the highest first-week sale since Nielson BookScan began compiling data in 1998, according to The Bookseller. Article reproduced from The Telegraph by Anita Singh. 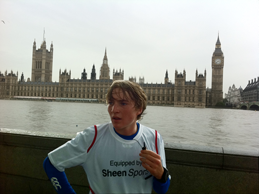 I thank The Corsham School for my itchy feet, although World Challenge might also have something to do with it. I finished at The Corsham School in 2007, and it is definitely true that you don’t realise how wonderful school days were until you arrive at the ominous gates of the ‘Real World’. Among many highlights of my time here was a month-long expedition to Zambia with World Challenge. It opened my eyes to the amazing opportunities other cultures have to offer and left me with the terrible condition of itchy feet. I believe this is medically defined as ‘an inability to remain in the UK for a period longer than 18 months due to an overwhelming desire to learn and explore’. I wanted to share my latest project with you for two reasons. 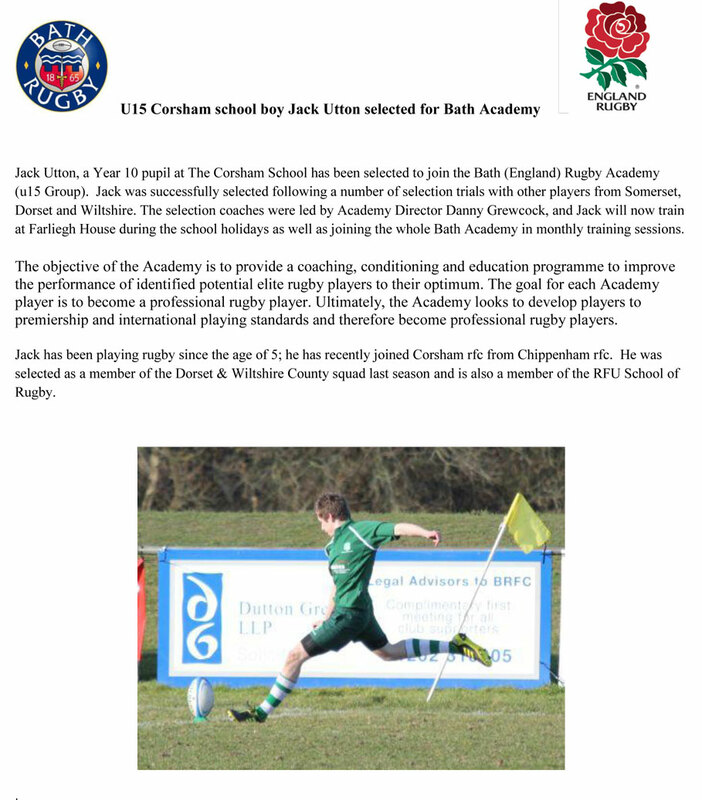 Firstly, I want to show you where you can end up if you take the amazing opportunities The Corsham School offers. Secondly I ask that, if you can see the value in young people being able to take part in projects such as this, you might make a donation to a very worthwhile cause. In September 2013 I will be moving to Bolivia for 12 weeks to volunteer with a charity which supports local children and young people to build their own futures. Bolivia is the poorest country in Latin America and half the population is under 18 years old. Many of these young people won’t get access to healthcare or a great education like we do in England and this is why the charity has requested help from people like me and you. This project is one of many run by ‘International Citizen Service’ (ICS). From 2012-2015 they will send out 7,000 young people aged 18-25 to work in 28 of the world’s poorest countries alongside local volunteers. 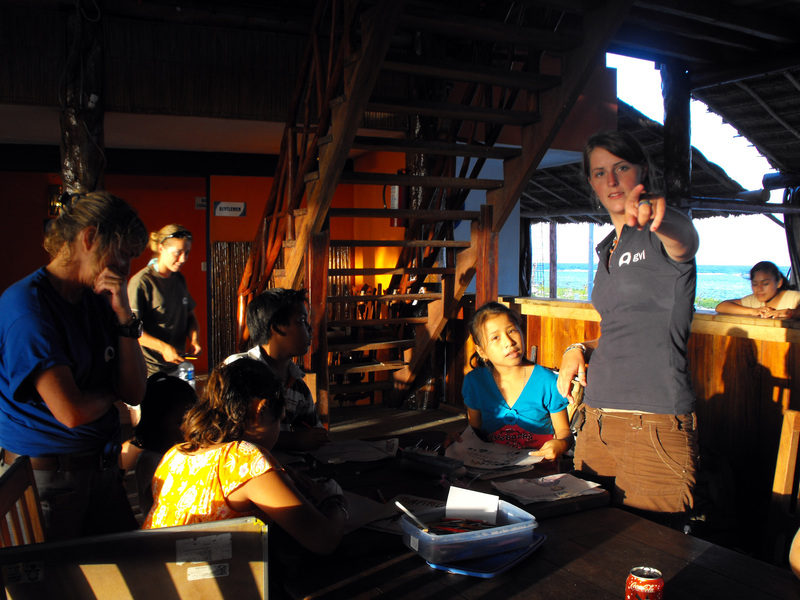 It costs £7,000 to send out each volunteer, including flights, accommodation, food, in-country staff, visas, immunisations and much much more. The great thing about this programme is that all of that is paid for by the UK government (Department for International Development to be precise) as they realise the amazing work that young people can do. If you are currently in the 6th form (or have a son/daughter/friend who is!) then please look up ICS as it would be an amazing thing to do over the summer or before university. 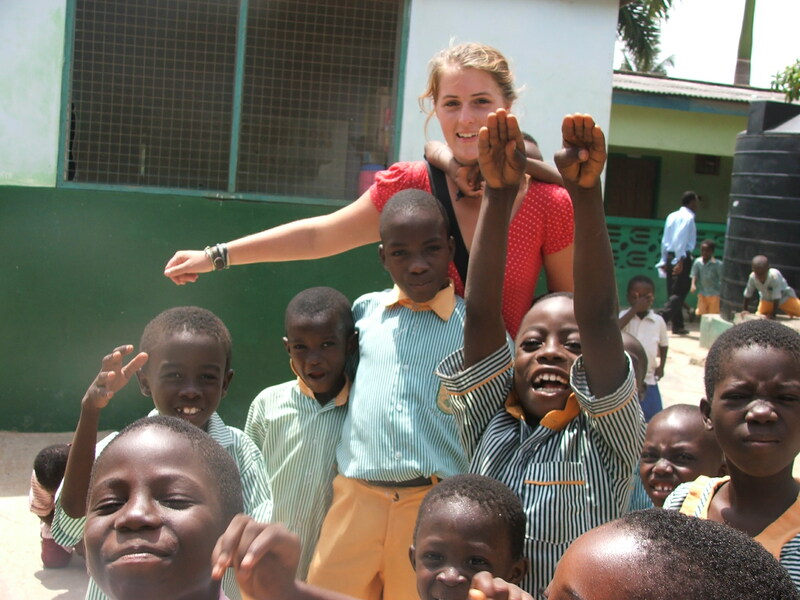 If you would like to help other young people continue to take part in life-changing opportunities which make a difference to the world, then please make a donation towards my £1,500 target at www.justgiving.com/steph-hovey. I hope you have been inspired to look up ‘International Citizen Service’ and even if you are not going to be 18 any time soon, please take advantage of all that Corsham School has to offer you. If I hadn’t, then I wouldn’t be doing things like this today! 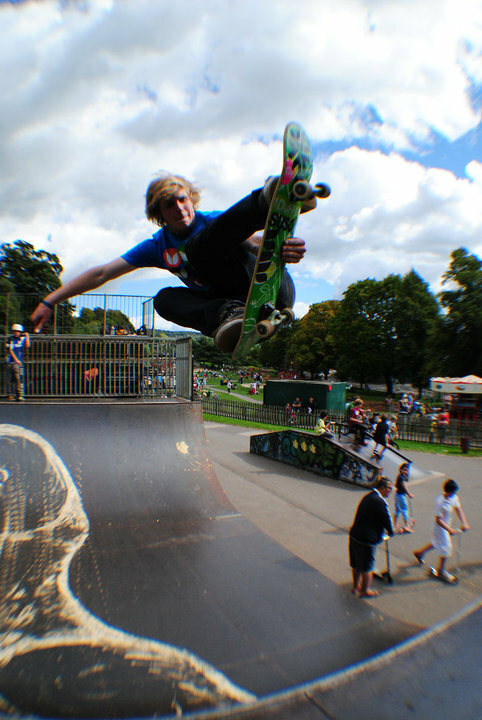 BEN Sparks is aiming to prove that he’s a cut above the rest as he chases his dream of breaking into the professional game. 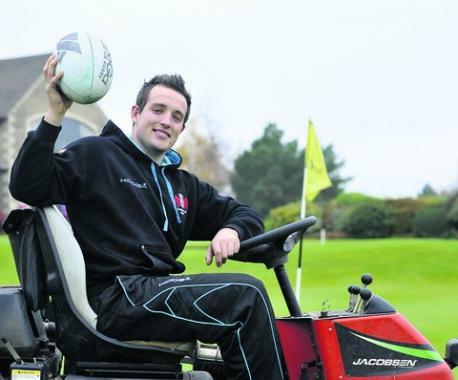 The 22-year-old, who works as a greenkeeper at Cumberwell Park Golf Club near Bradford on Avon, made his debut for Gloucester on Tuesday evening. Sparks featured as a substitute as the Cherry & Whites beat Fiji, who included 13 players which played against England last weekend, 31-29 in a friendly at Kingsholm. Back row Sparks, a former Corsham School pupil, plays part-time rugby for Forest of Dean side Cinderford. Sixth former Amy-Rose Charlesworth, 16, got the thumbs up from judges for her rendition of Lady Gaga’s The Edge of Glory during her audition at St George’s concert hall in Bristol. Now she’s hoping to drum up support from the local community for her repeat performance at the hall as part of the competition’s regional finals in the 16 and under category. 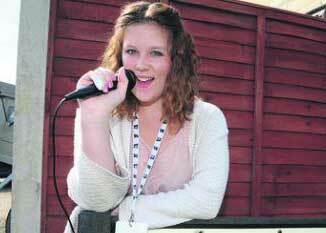 For more about the competition, visit www.openmicuk.co.uk and to support Amy-Rose at the regional final, call her on 07501 147811 for information about how to obtain tickets or collect from Ms Bryan at school. 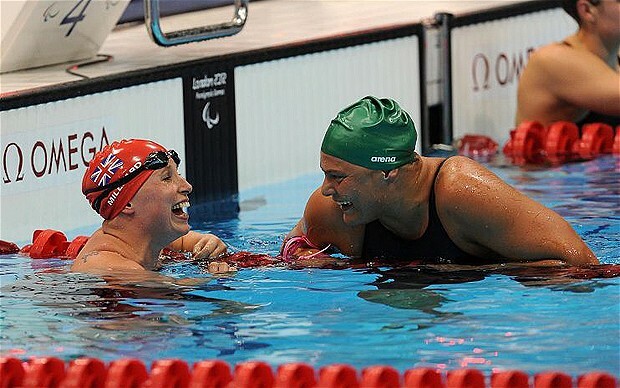 As you may already know from local BBC News bulletins, ex-Corsham student and Paralympic swimmer Stephanie Millward has added to the two silver and one bronze medals she has already won in these games. She has taken silver in the SM9 Individual medley ahead of two other British athletes. Stephanie was a student at The Corsham School between 1993 and 2000. Already an outstanding swimmer before being diagnosed with Multiple Sclerosis, she has gone on to amazing achievements. Her success in the Individual Medley is made even more remarkable by the fact that she began working on her breaststroke only two months ago. He has raised around £1,000, from the run, to fund a £4,000-trip to Bolivia next summer where he intends to do a mountain trek followed by charity work. “He didn’t stop during the runs for breaks. He drank loads of water, Lucozade and ate Jelly Babies to keep going,” said his Mum, Suzanne Thomson. 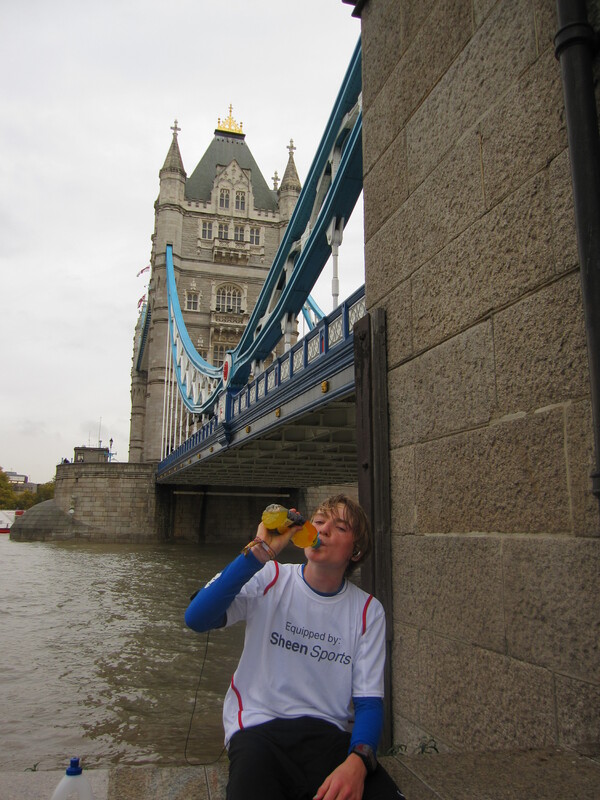 I had never thought of rowing as a sport that I was ever going to do, but last November Mr Holden told me that a Sport England scout had asked if anyone had the potential to be a rower and he put me forward. 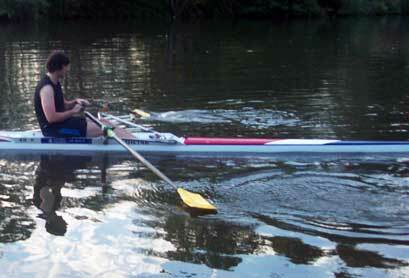 Now after several tests and trials I am on the Great Britain Rowing World Class Start programme. I have to go on rowing camps every month in Nottingham, and the overall aim is to go to the 2016 Olympics in Rio representing Great Britain. 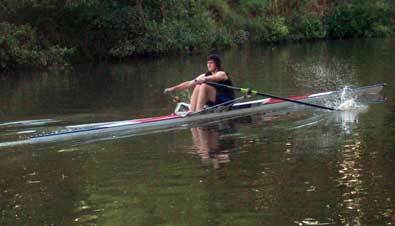 I am tested all the time by doing skills and rowing, and I have to continue improving at a certain rate. World Class Start have coaches, dieticians, nutritionists, doctors, sports psychologists, physiotherapists and we are sponsored by Siemens and the National Lottery.